This small frame building built in 1838 on Ferris Lawrence’s property, was one of the first rural churches in Central Ontario. It was located on Concession 2 in Trafalgar Township on the corner of what is now Winston Churchill Boulevard and the South Service Road of the Queen Elizabeth Way in Oakville. In its early years, it served as a union church for all denominations in the community of Hammondville, which later became Sheridan. After 32 years of service as a church, meeting place, school, and temperance hall, the building became too small for the growing community so in 1869 it was replaced by a larger brick church. After it was closed as a church, the building was sold to the Nelson Lawrence family and was moved to their farm where it served as an ice house, temporary residence, storage area and workshop. After years of serving a variety of purposes in the community, this weathered old building was given a new life to serve the general public in yet another way. In 1976 the Lawrence family offered it, now covered with grapevines and ivy, with sagging floors and broken windows, to the newly established Ontario Agricultural Museum site in Milton. It was re-erected on a solid foundation and restored as the ‘Women’s Institute Hall.’ The only organization the Museum Board wished to include in their plans was the Federated Women’s Institutes of Ontario as they felt it was, and still is, very much part of Ontario’s rural heritage. The WI Hall was officially opened in 1979, the first year of operation at the Museum. Until 1985 it was used as an exhibit building depicting the 1919-1929 era, as a home for WI members, and as an acknowledgement of the contributions made by the Women’s Institute to rural society, both past and present. New kitchen facilities were built on to the rear of the Hall allowing visiting branches to make a cup of tea and eat lunch. In 1980 alone, 54 branches visited the Hall. 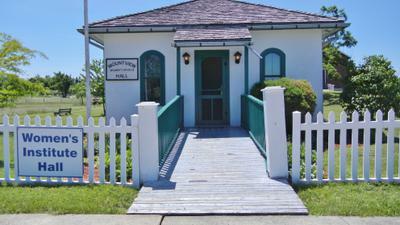 The Hall was renamed Mountview Women’s Institute Hall in 1986 when it became part of the Museum’s Crossroad Community and now focussed on the important role of the WI in the community circa 1928. WI volunteers were trained to act as interpreters for the Hall and worked on special school programs. 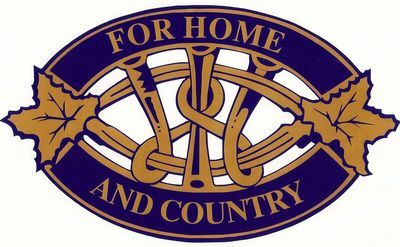 In 1999 the Ontario government withdrew support and the privately-run Country Heritage Experience (later renamed Country Heritage Park) took over the operation of the farm museum. FWIO was asked to consider taking on the maintenance of Mountview WI Hall which would include cleaning, set-up, displays, landscaping, and volunteer hostesses. Guelph Area Women’s Institute, with FWIO’s approval, assumed this responsibility instead and continues to maintain and support Mountview Women’s Institute Hall to this day.